We searched every nook and corner of the village but couldn't find any herb. Few people in the village said it would be available more in rainy season. But still we continued our search from one field to another and found only grass. I had strong hopes in my mind that somehow Baba will show us the herb and I kept chanting Sai Ram, and I prayed Baba that if I get the herb I will surely post my experience. More than one hour passed and we were exhausted in the sun in vain. We had no strength to go forward and were in a verge to return back without the herb. To all our surprise from the same place from where we decided to quit, we found the herb hiding under other plants. We collected few herbs with lot of difficulty under the thorns and slippery soil. One lady saw us and asked us to be careful as there were many snakes in the region. Finally we collected the herb and I know Baba was with us guiding and protecting us from all hurdles and got us the herb. Thank You so much Baba . Baba tests us to wash our karmas and right when we are about to give up He comes to our rescue. Baba’s Blessings flow unceasingly for those who have Sewa Bhaav for others. 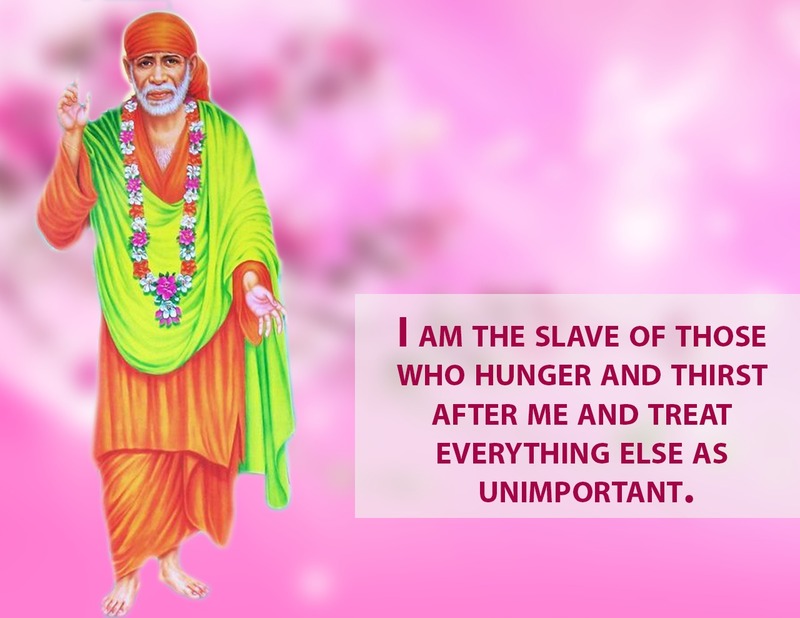 None can equal His love and service for His devotees. Love You Saimaa. Jai Jai Ho Sai…!